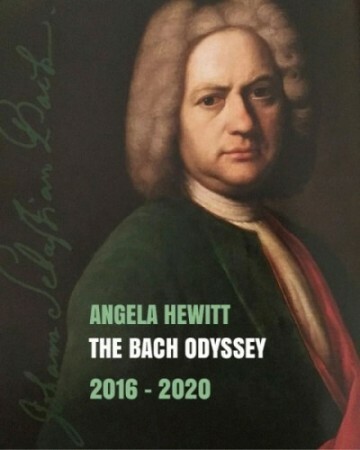 You can read more about the Bach Odyssey here, here, here and here. My journey with Bach began from the day I was born, if not before. How fortunate I was to have a father who was a cathedral organist and played all those great organ works with such passion, intelligence, and dramatic flair! I remember as a young child holding my breath during the G minor Fantasia and Fugue, the C minor Passacaglia—knowing it would all be resolved triumphantly at the end. My father also arranged the great Toccata and Fugue in D minor for the whole family—2 pianos, 8 hands—when I was maybe 10 years old. I danced to Bach, sang Bach, played him on the violin and recorder, tried him out on the harpsichord….and in the end put all that experience into playing his music on the piano. As a teenager, I remember planning how I would present all his keyboard suites in a series of recitals, trying to match up keys. There were still so many pieces to learn, but every year I added several more to my repertoire. At the age of seventeen, I entered the first of three Bach Competitions—the one in Washington D.C. in which the test piece was The Goldberg Variations. That gave me my American recital debut at The National Gallery and my concerto debut with the National Symphony at The Kennedy Centre. My first European competition was also devoted to Bach, this time in Leipzig, awarding me the chance to see where he had lived and worked for so long, and to visit his grave in the Thomaskirche. Then in 1985, the 300th anniversary of Bach’s birth, I won First Prize in the Toronto International Bach Piano Competition and my international career, based on Bach, was launched. It never bothered me to be associated so closely with his music. How could it? There is no greater music than the Well-Tempered Clavier, than the three sets of suites, the Goldberg, the Toccatas, even the “easy” Inventions and Sinfonias. To develop in his company one’s musical intelligence, technique, beauty of sound, and spirit is a great gift and a lifelong adventure. The offer from Hyperion Records, back in 1994, to record all his major keyboard works gave my career a purpose and direction that has been enormously fulfilling. When the director of London’s Wigmore Hall, John Gilhooly, approached me to perform this huge opus in its entirety in twelve recitals over four years, my first reaction was to say no. There is still so much other repertoire I must do before it’s too late. But it didn’t take long to change my mind, and to realize what a marvellous thing it would be to revisit it all in a concentrated time frame. I am immensely grateful to Hanna Arie-Gaifman for her visionary and enterprising spirit in inviting me to perform it also in New York at the Y, as well as to Ottawa’s National Arts Centre and Chamberfest who will be joint promoters of the project in my home town in Canada. My thanks also go to Alec Weil in Tokyo for his passionate interest in presenting the project there, and to the Amici della Musica in Florence who will present it all in conjunction with the Trasimeno Music Festival in Umbria. I know these concerts will be highlights of my life, and I look forward to sharing the glory of Bach with you between now and 2020!